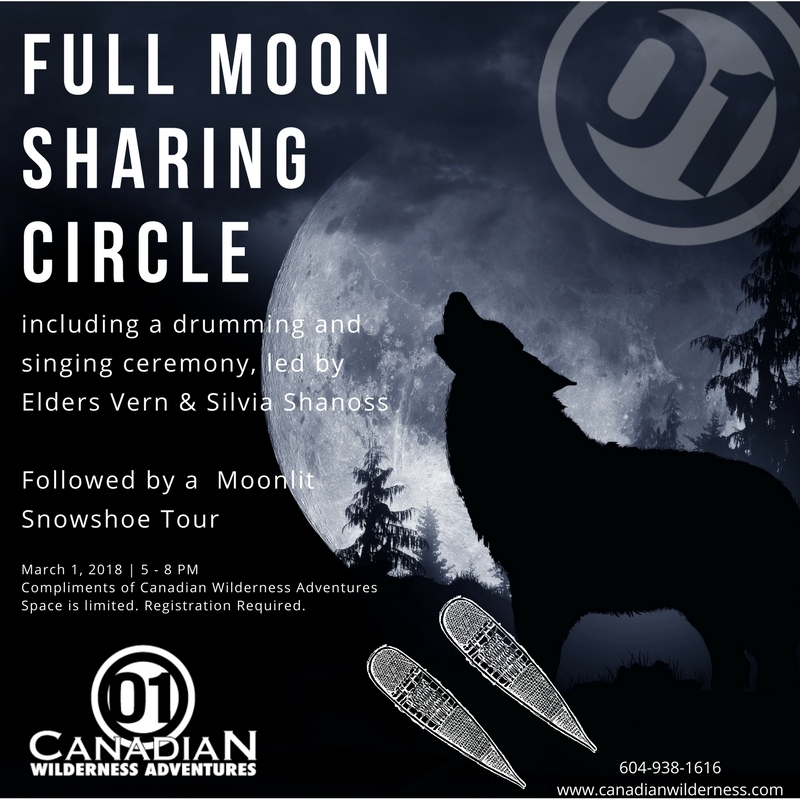 Join us on March 1st from 5-8PM for a Full Moon Sharing Circle, including a drumming and singing ceremony, led by Elders Vern & Silvia Shanoss. Followed by a Moonlit Snowshoe Tour. It is complimentary. We are doing another one on March 31st! My husband and I ate interested. Pls let us know about the price. Thank you.